Our study contributes by providing new insights into the relationship between the individual levels of the antecedents and how the intention of whistleblowing is moderated by perceived organizational support (POS), team norms (TNs), and perceived moral intensity (PMI). 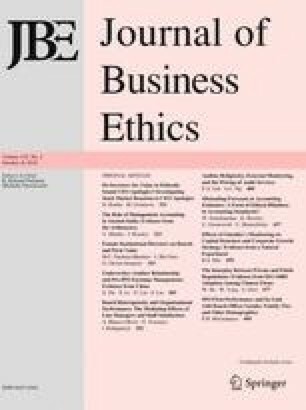 In this paper, we argue that the intention of both internal and external whistleblowing depends on the individual-level antecedents [attitudes toward whistleblowing, perceived behavioral control, independence commitment, personal responsibility for reporting, and personal cost of reporting (PCR)] and is moderated by POS, TNs, and PMI. The findings confirm our predictions. Data were collected using an online survey on 256 Indonesian public accountants who worked in the audit firm affiliated with the Big 4 and non-Big 4. The results support the argument that all the antecedents of individual levels can improve the auditors’ intention to blow the whistle (internally and externally). The nature of the relationship is more complex than analysis by adding moderating variables using the Partial Least Squares-Structural Equation Modeling approach. We found that POS, TNs, and PMI can partially improve the relationship between the individual-level antecedents and whistleblowing intentions. These findings indicate that the POS, TNs, and PMI are a mechanism or that attribute is important in controlling behavior. We thank anonymous reviewers, Steven Dellaportas (editor) for their valuable comments on prior versions of this paper. This article uses the statistical software SmartPLS 3 (http://www.smartpls.com). Ringle acknowledges a financial interest in SmartPLS. Ringle, C. M., Wende, S., & Becker, J.-M. (2015). SmartPLS 3. Boenningstedt: SmartPLS GmbH. http://www.smartpls.com.